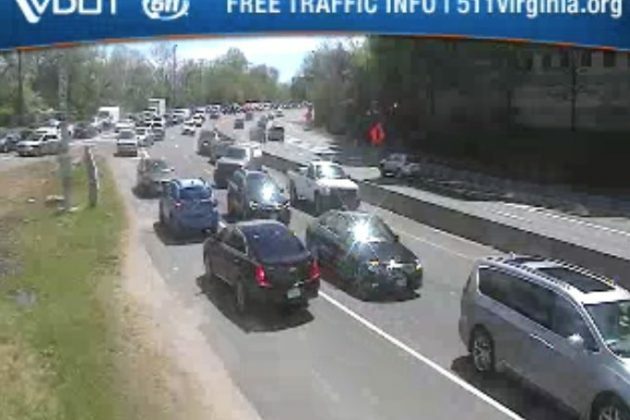 Update at 3:35 p.m. — One lane of westbound I-66 has reopened, just in time for the evening rush hour. Crews remain on scene assisting with the cleanup. 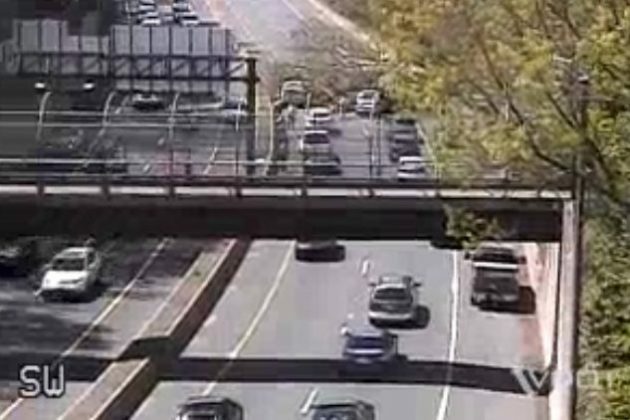 Earlier: A tree has fallen across I-66 near Spout Run, blocking the westbound lanes of the highway. The tree fell around 1 p.m. At least two cars crashed into the fallen tree, though so far no injuries have been reported, according to scanner traffic. All westbound lanes are blocked and traffic is stopped. Eastbound lanes are not currently blocked, though traffic becoming increasingly backed up prior to the scene due to rubbernecking delays. On traffic cameras, cars can be seen driven the wrong way in the westbound lanes, as drivers try to escape the jam. Due to the size of the tree the lanes may remain closed for at least part of the afternoon. 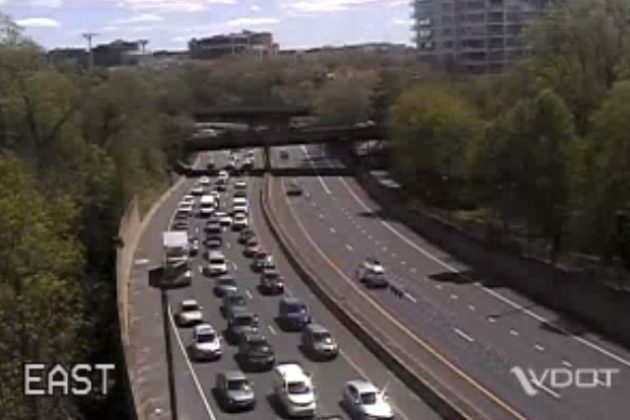 Those driving in the area should expect delays in Rosslyn due to detoured traffic. A number of trees are reported to have fallen around Arlington amid today’s gusty winds. 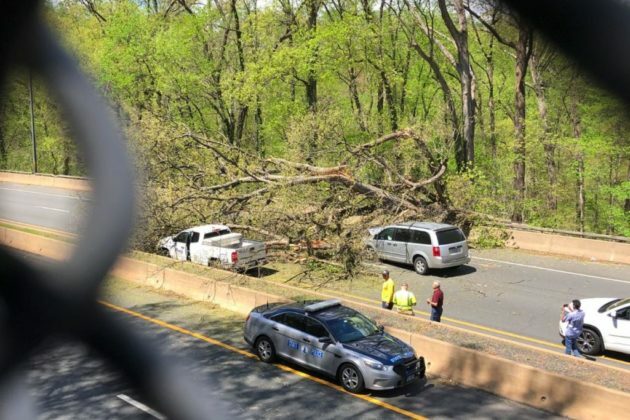 Medics now responding to I-66 after one of the crew members helping to remove the tree was injured, per scanner. Cones are being set up so one lane can be reopened in time for the rush hour.